You have finally made up your mind about which VoIP service provider you’d like to work with. The next big question is – what VoIP hardware options do you have? 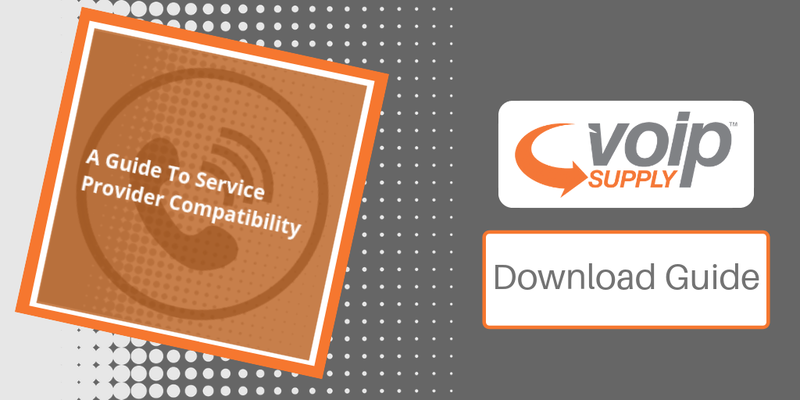 Free Download The Guide to VoIP Service Provider Compatibility! Since we have received many VoIP service and hardware compatibility questions, our team went ahead and created a new VoIP service provider compatibility guide for your convenience! Our top VoIP hardware brands: Yealink, Sangoma, Digium, VTech, and more! Free download now to make a wise decision!